Welcome to the January 2019 Newsletter, as per our last posting we are still anxiously awaiting the outcome of our Grant applications through Grants SA. We were awarded one Grant enabling us to purchase a 240v generator to supplement our existing equipment. The new generator is quiet when running and could be used at the Station without upsetting the entire neighbourhood! Our second machine can be used to power the transmitter on Brown’s Hill during any power outage. 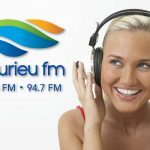 Fleurieu FM thanks Grants SA for their assistance. 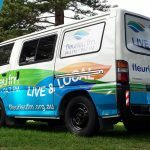 To take advantage of the Australia Day long weekend, Fleurieu FM has joined forces with the newly formed Horse Drawn Tram Authority (HDT) to promote a Family Fun Day on Monday 28th January 2019. 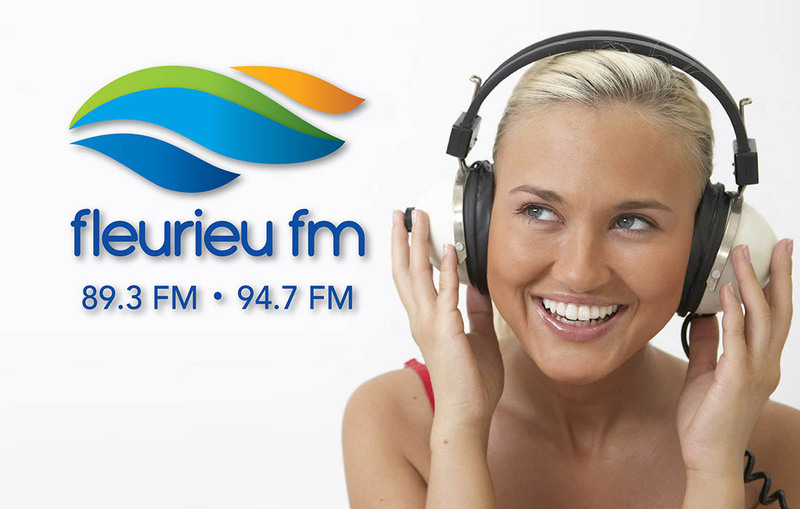 Fleurieu FM will undertake a live broadcast from 1100-1600 hrs, the van will be set up near the Causeway Horse Stables. It felt right to have a collaborative day as a membership drive for both Fleurieu institutions, (not even a partial collapse of The Causeway was enough to dampen spirits). I must take the opportunity to thanks the many Sponsors from the local area who have come on board in support of the planned event, without this support the day could not have gone ahead. I particularly want to thank Terry Andrews from the HDT Authority for his tireless efforts in kickstarting the event, this has not been a small effort, hopefully next year the Family Fun Day will continue to grow and become a ‘fixture’ between Fleurieu FM and the HDT. We have already had coverage in The Times and will have exposure on South Coast Television. Member for Mayo Rebekha Sharkie has agreed to open the proceedings early afternoon, Steve Robertson will do ‘live interviews’ with patrons on the tram as well as crosses to others simply enjoying the day. Steve has also arranged for members from his camera club to photograph patrons, with a highlight of children being photographed with their favorited horse. A group of Ukulele enthusiasts have formed a special group for the occasion “The Fleurieu Super Stars” to play a couple of sets on the day. The overall aim is to increase both our Community exposure and membership numbers. If you can help out on the day, please place your name on the list at reception saying what times you would be available, even one hour would be a great help. We have been fortunate to have a number of new members/presenters come on board with us, The Angel of the Morning has been busy with their initial training, some are already ‘rocking the airwaves’ or have fingers poised ready to press the magic buttons. Great Job. Finally, many thanks to Neralie for her efforts on the Facebook page, (906 likes) great effort. Also big thanks to The Soul Man Jim for all his assistance as I am aware of the dramatic increase in his work load. A Happy New Year Barbecue was held at the Station on Saturday 12th January 2019. 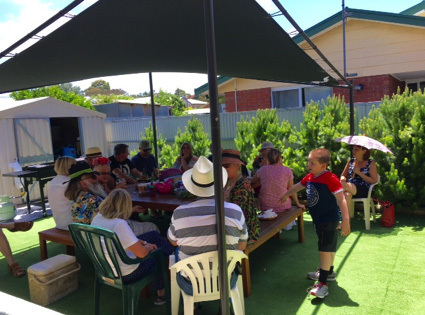 The function was well attended and despite a relatively hot day a good time was had by all. A combination of good company, superb cooking skills from The Angel of the Morning and a selection of salads and sweets meant it could not fail. Due to unforeseen circumstances Neralie was unable to attend and I believe (from an impeccable source) she is still paying the price from her children! Some suggestions of making a get together more frequent, for consideration as sounds like a great idea. We have had several new Sponsors agree to come on board, agreements all at final ‘dotted line stuff’ but looking really good for the future. Presently Chris Askew is working on the Terms of Reference for the Program Advisory Committee, if able to assist Chris in this task let him know. A Committee Chaired by Sam Foreman and formed to review the Presenters Agreement is nearing a Draft document stage which will be made available for comment from presenters prior to review by the Management Board. A review of the Board of Management Guidelines (release 1.0 October 2013) has been completed by Maria Prus-Grzybowski. This documents now becomes (release 1.1 December 2018). Many thanks to Maria for her efforts. This documents will be referred to the Board of Management for ratification, February 2019. Throughout the year we will be reviewing a number of documents, so plenty of opportunity to have your input. Committees and Review Panels are a good way to show our Registering Authority that we involve members (and the Communities) in our operations.